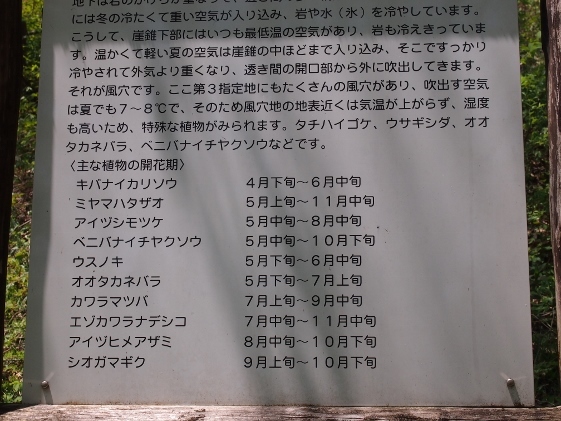 I heard from a manager of the private inn I stayed last night that they had been busy all round a year with ski visitors in winter season, farm training school visitors in spring, and summer school visitors in summer, before the nuclear accident. Today, they only have ski visitors left. 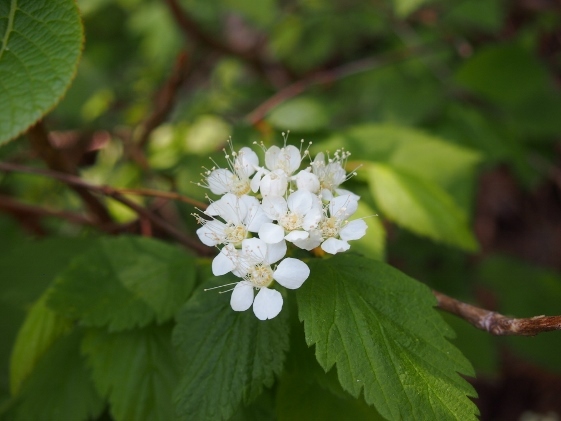 School visitors avoided Fukushima by harmful rumors. Nuclear accident caused tremendous damage by harmful rumours here. 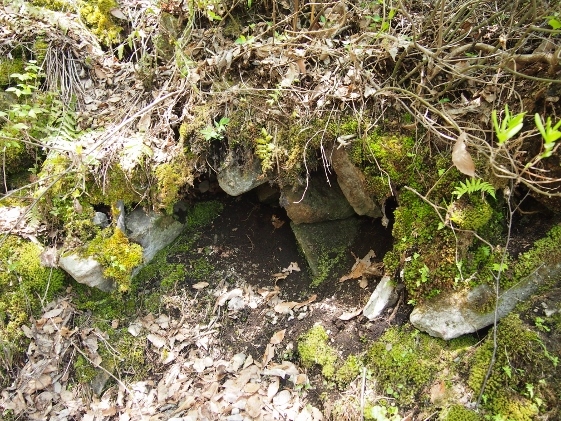 Today, I left Haryu and then visited Nakayama Cold Wind Caves at Simogo Town. Then I stayed at Ashinomaki Onsen. 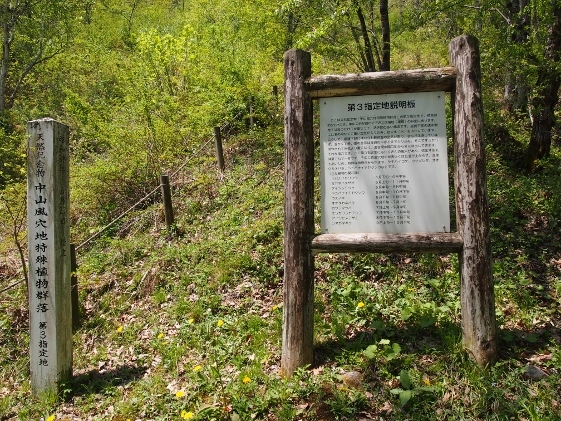 At Nakayama Cold Wind Caves, cold air was coming out of caves in the surface of the ground, thus air temperature was lower than usual ever in summer. 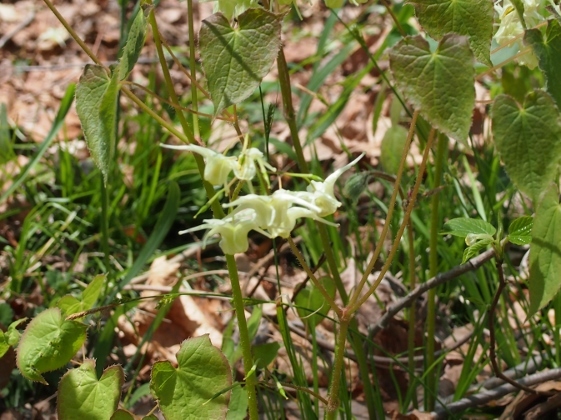 Because of this some kinds of alpine flowers could be seen in lower altitude of about 500m. 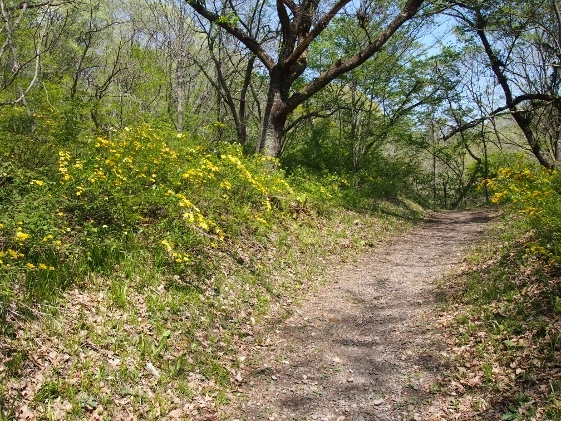 This area was officially called "Group of special plants at Nakayama Cold Wind Caves" and had been designated as National Natural Treasure. As I went north on the National Route 118 from the center area of Shimogo Town, I found Yagoshima entry point for Nakayama Cold Wind Caves as shown in the picture above. Although entry point for cars with paved road could be found a little ahead, I thought this Yagoshima entry was better for on foot and bikes. As I went ahead, the road as shown in the picture above followed. Soon after, I could find cold wind caves as shown in the pictures above and could feel cold air around them. 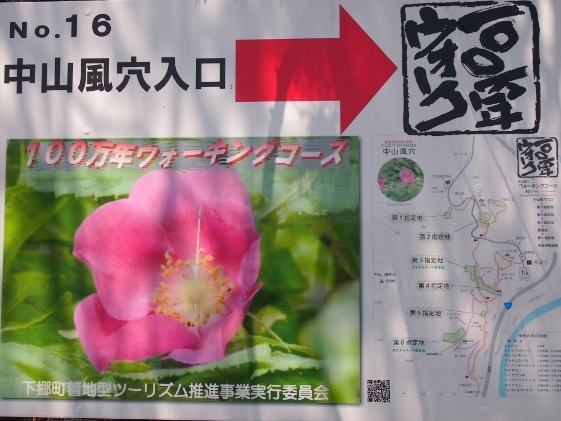 There also stood sign board as shown in the picture which explained kinds of special flowers around here. I will show the kinds of flowers I found today. 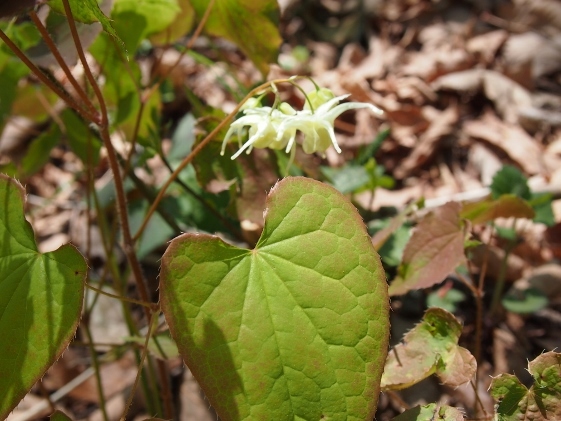 First one was Epimedium koreanum. 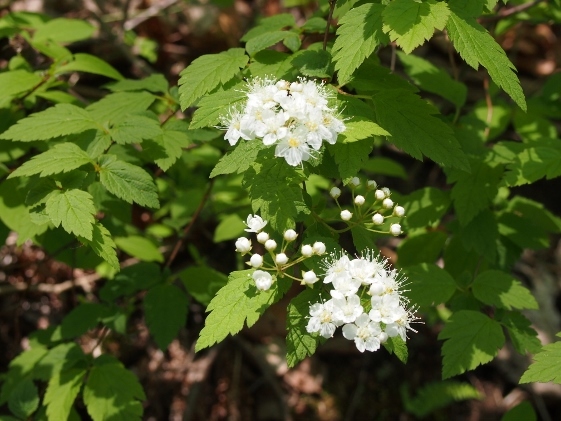 The next one was Spiraea chamaedryfolia var. pilosa. 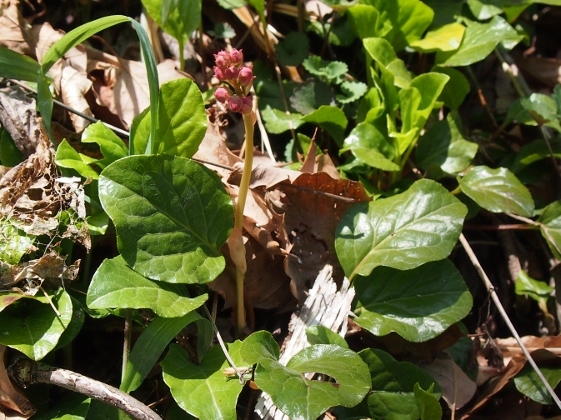 The next one was Pyrola asarifolia subsp. incarnata. I could find only buds. 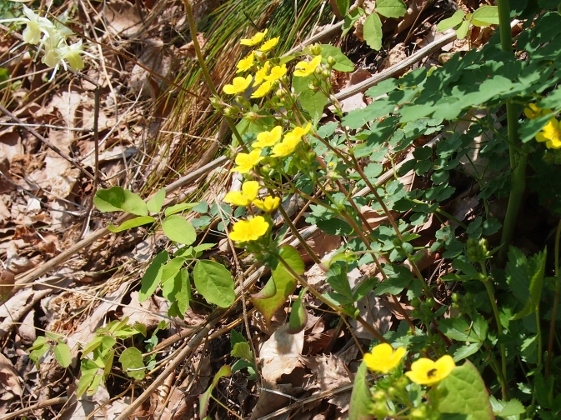 I also could find beautiful Ranunculaceae. 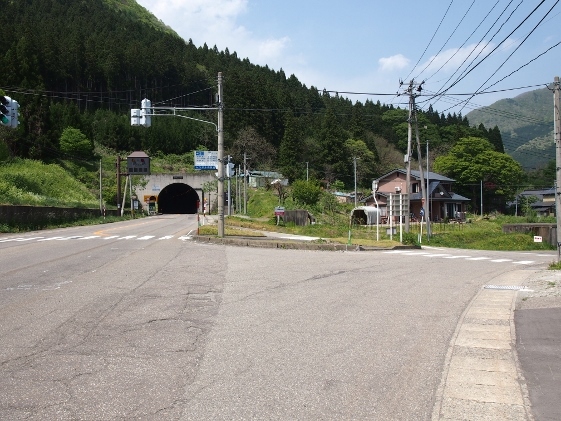 As I left Nakayama Cold Wind Caves and went north on the National Route 118, I found branch road on the right just before the Shimogo Tunnel as shown in the picture. 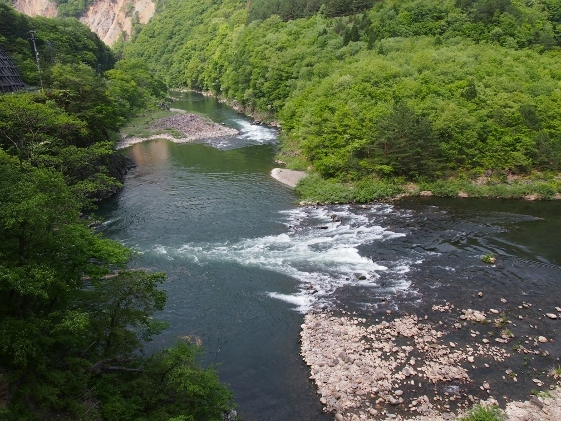 This road went to Ashinomaki Onsen and then was connected to Okawa-Kitakata Cycling Road. 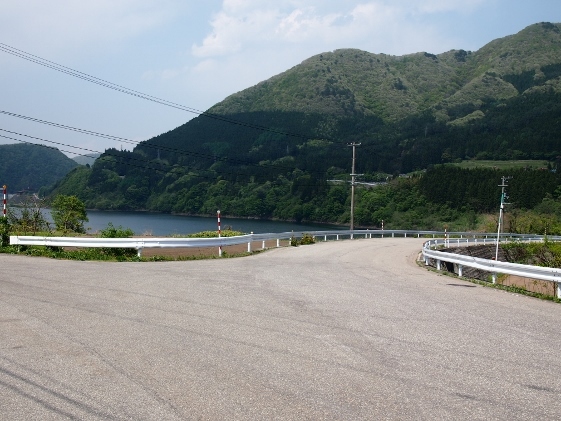 I could find few cars on the road and could go through scenic views of Lake Wakasato and Aga River (or Okawa River). Tonight I stayed at Senkyokaku Inn of Ashinomaki Onsen. This inn was a member of Japan Association of Secluded Hot Spring Inns. I also stayed here last September. 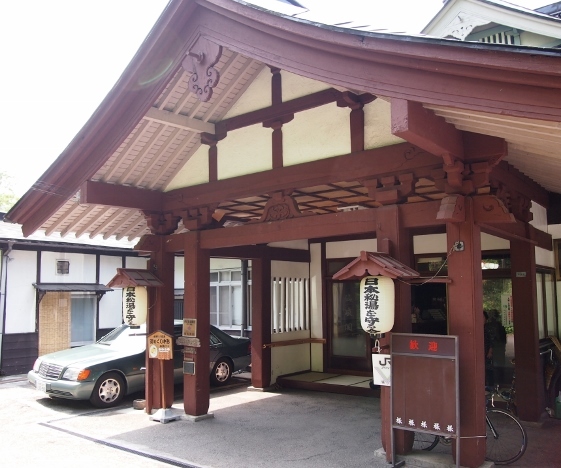 This inn had its own hot spring source, thus visitors could enjoy fresh and excellent bath. 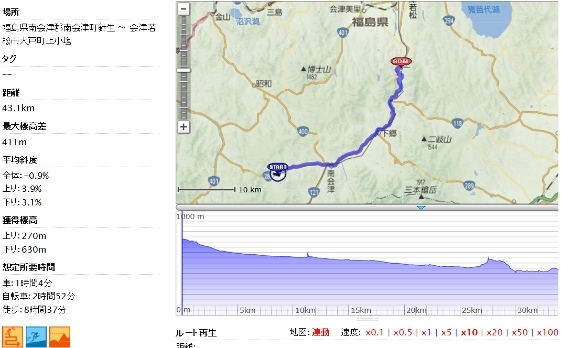 Tomorrow I will pedal to Aizuwakamatsu City and pack my bike and return home by JR Ban-etsu East Line. Thus this will be the last report this month. The next report is being planned from middle of the next June. You will listen to background music "Flowers will bloom" by clicking the ▶3.